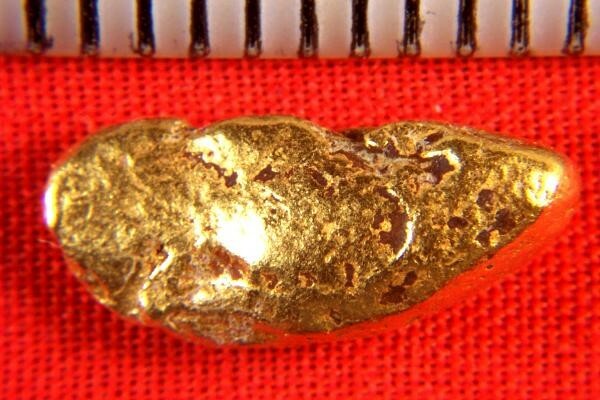 This is a gorgeous Natural Gold Nugget from Costa Rica. 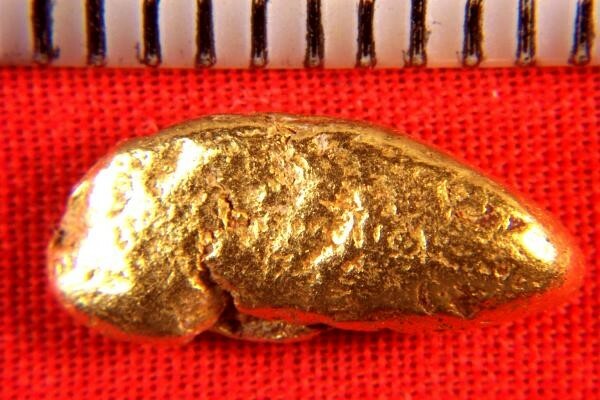 This beautiful gold specimen is 5/8" (15 mm) long and weighs in at 3.3 Grams (50.9 Grains.) It is smooth and fat and has gorgeous color. The purity of gold nuggets from Costa Rica is 92% to 98% pure gold and the color is gorgeous. This is a hand selected investment/jewelry grade nugget and would make a great investment.